Currently they’re showing Taiji Matsue, a photographer I quite like. However, not having paid any attention to the listing, I thought I had wandered into the wrong broom closet when I entered a completely dark room closed off with a black curtain, only to realize it wasn’t an exhibition of his photography at all but rather a single television auto-playing a video. (“Video installation” might be a tad generous). I was immediately turned off and was going to turn around, but just as I never leave a film or the dying cause of a lost sporting contest early, I forced myself to tough it out. The video, or at least the seven or eight minute stretch that I saw, featured a single, fixed-camera shot of a busy Tokyo cityscape, one familiar to me from his new book TYO-WTC. Once I got past the initial urge to bolt from the room, the video grew on me and was actually quite interesting, my eye delighting in the various patterns that presented themselves in such a pedestrian view, and brought me back to my younger days when I used to eat up work of an ostensibly similar nature by such folks as Andy Warhol and Michael Snow, and to reflect with some regret on how much less patient I become with each passing year. I don’t really see Matsue as a landscape artist but more like an earth artist or a geologist — which in fact is what he was before he turned to photography — but as we’re speaking loosely of landscapes, recently someone asked me to recommend to them some books of Japanese landscape work that were specifically “black and white and moody”. Aside from Kaiiki, which I had recently reviewed, I was hard-pressed to come up with any good examples, but the other day I finally got around to picking up Koji Onaka’s Twin Boat, which among other (frankly more important) things, would seem to meet the bill of “black and white, moody landscapes”. I had actually passed over Onaka’s latest book for a couple of reasons. One, I simply adore his color work like Grasshopper and Dragonfly, and indeed both of those were my relatively late introduction to his work (along with Tokyo Candy Box), to the point where it was hard to accept that Onaka once worked in black and white. Secondly, I had assumed Twin Boat was, like Slow Boat which Schaden put out a few years ago, an American publication, owing to the publisher being Session Press in New York. While they are in fact the publisher, the book is really a joint publication between them and Onaka himself, and was edited by Miwa Susuda, a Japanese curator living in New York, and the book itself was printed here in Japan. So my biased bases covered, I promptly picked it up and I’m very glad I did. As Onaka’s popularity in Europe especially attests, the cachet of Japanese photography — and specifically Japanese photo books — shows no signs of abating. But as someone recently asked me, what about Japanese photo criticism? 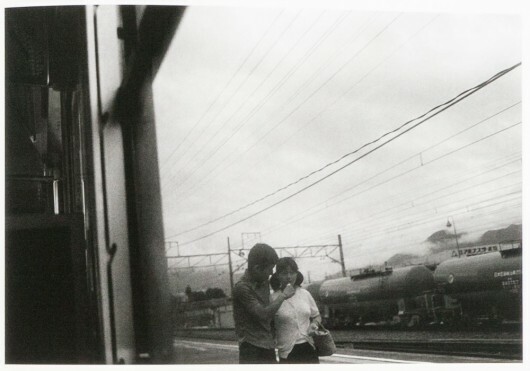 There’s plenty of tumblr-ing of Japanese photography, and certainly tons of blogs about it (this one included), but is there anyone writing about it at a more complex and nuanced level? Is there any criticism being written about Japanese photography that would be akin to say Max Kosloff, Alan Trachtenberg, Susan Sontag, or even someone in the slightly more popular vein of Janet Malcom? My stock answer, gathered from inference and second-hand recommendations rather than primary knowledge, is Kotaro Iizawa, who has written innumerable books and was the founder and driving editorial force behind the 1990s journal Deja Vu. However, aside from some short essays, hardly any of his work is in English. 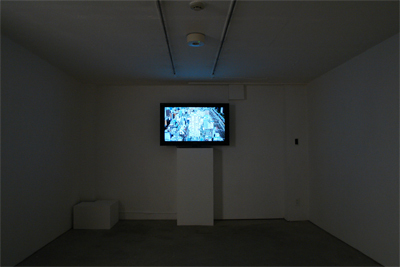 A screenshot of Minoru Shimizu’s semi-regular Critical Fieldwork column. 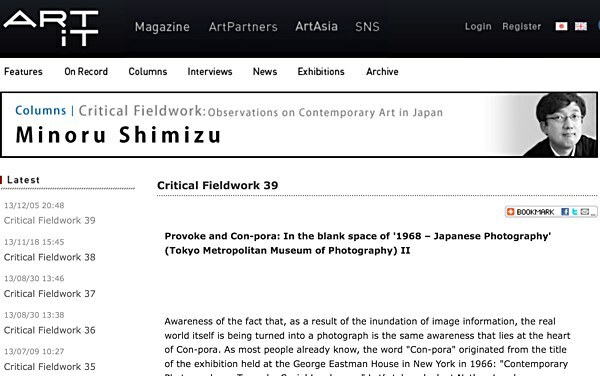 Recently though, I re-stumbled onto Minoru Shimizu’s semi-regular Critical Fieldwork essays over at the website for Art-It, the bilingual Japanese/English magazine about Asian Art. I confess I have not read all of the 38 essays posted there — Shimizu writes about other disciplines in addition to photography — but from what I have read I can tell that Shimizu certainly is someone worth reading. Particularly exciting for me is the prospect that Shimizu is not afraid of ruffling some well-preened feathers. The Japanese photography “scene” as it were is a fairly chummy and mutual back-slapping place, by my observation, so when I read Shimizu refer to the work from a photographer that people seem to not be able to get enough of at the moment as “B-grade horror”, I had to take heart — not because they echo my own thoughts so much as they at least constitute a push-back against the fashionable tide. (The first footnote on that page consolidates this impression.) Superficial and reductive on my part, yes, but with only so many hours of the day and so much cheerleading to slog through, negativity is often a better tool for separating the wheat from the chaff.